Shemay, with more than 10 years experiences,offer kinds of quality handmade hair accessoriesOur products are popular in Europe, Southeast Asia more than 60 countriesLowest Price & Fast Shipping & Factory Directly & Superb Quality & Exquisite WorkmanshipChoose Shemay, choose satificationShemay will transform your choice into motivation, and strive to achieve faster and better! 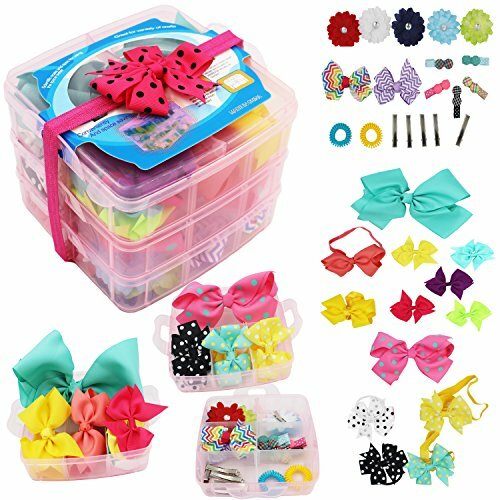 √ Package Included Hair Accessories Set*1 √ Friendly Customer Service Always here to help, feel free to email or call with any questions or concerns. √ 100% Money Back Guarantee BUY with Full confidence & "Peace Of Mind", if you're not 100% satisfied send it back for a Refund within 90 Days of purchase. 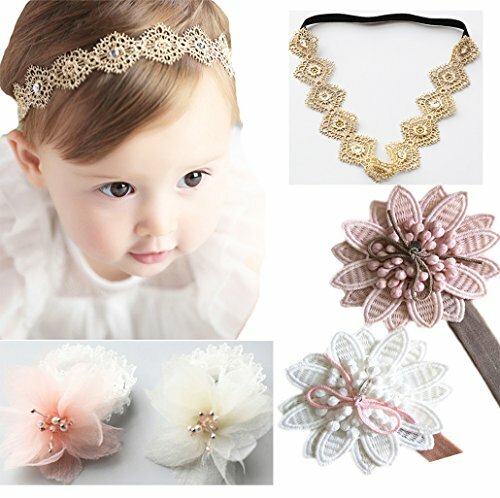 As a parent,you care about how your princess looks; as a friend or a relative, you hope to give a gift that will be appreciated and reflects well on your unique sense of style. When you searching for a product, you always consider about four aspects: design, quality, price,and service. 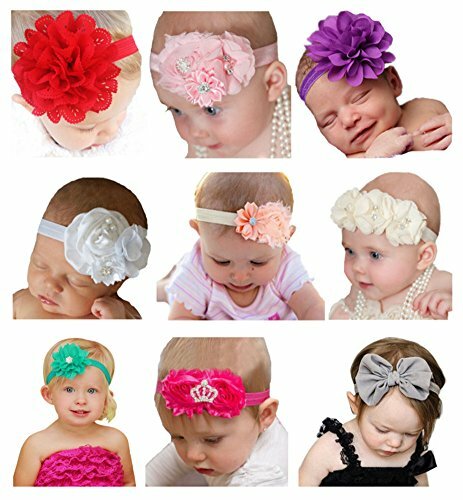 With Gorgeous Design, Top Quality, Lowest Price and Considerate Service,Belle Beau is always your best choice. ? Gorgeous Design: Every product is thoughtfully designed and based on extensive consumer insight. ? Top Quality: The material we using are safe, comfy, and stylish. 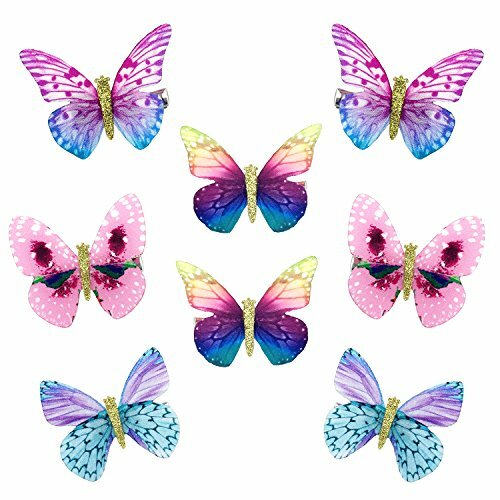 Non-toxic glues are used for embellishing. ? Lowest Price: Our value set save your money. ? Considerate Service: We always concentrate on your satisfaction and offer you best after-sale service. 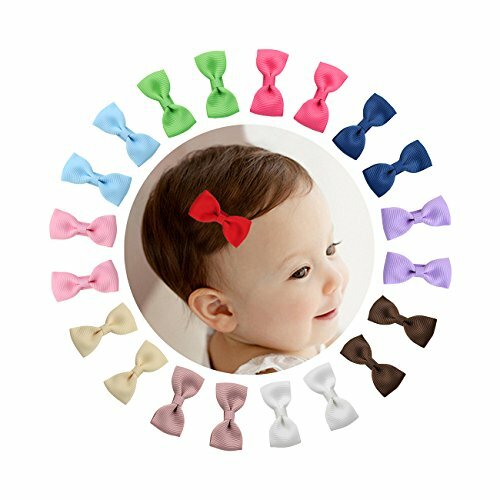 WARNING: NEVER LEAVE A CHILD UNDER 3 YEARS OLD UNATTENDED WITH ANY HAIR ACCESSORY AS IT POSES A CHOKING HAZARD!!!!! 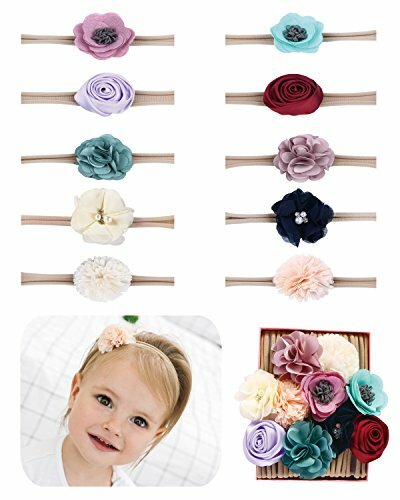 Features:Elegant unique designed Fantastic hair accessories for baby girls,newborn etc.They have high quality elastic soft band, Easy and comfortable to use.You will get many different color hair band suitable for every occasion and any wonderful season.They can fit well for babies,Kids,Children, toddlers, girls even women, they are all 100% handmade flower headbands, A wonderful gift for yourself, friends or family.Specification: Material: these hair bows are made of high quality Cloth ,Chiffon and ribbon band , these flower hair band are environmental, and harmless to everyone.Color: 12 different colors, they are all very lovely and bright,beautiful.Size:4.5 inches and 100% Brand New.Please kindly Note: Please allow a little size error due to manual measurement.These flower headbands are made from soft material, no harm and no stimulation to baby's skin.The new design would make your baby cute and charming, let your baby appear beautiful and stand out anytime. 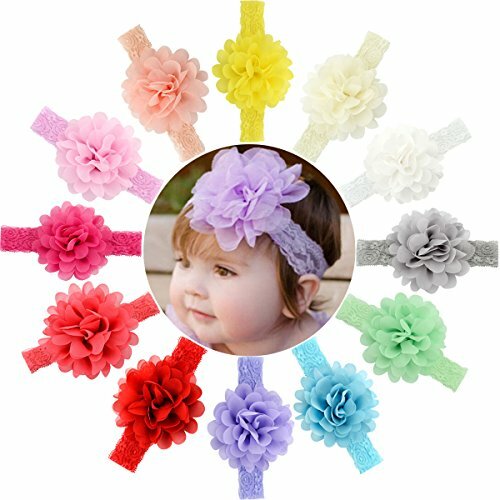 Description The hair Clips are made of durable soft satin ribbon and hard metal materials, and can be clipped in your hair with the featured alligator clip backing.Features - Most alligator clip ends will be lined with ribbon to blend with the design of the hair accessory. 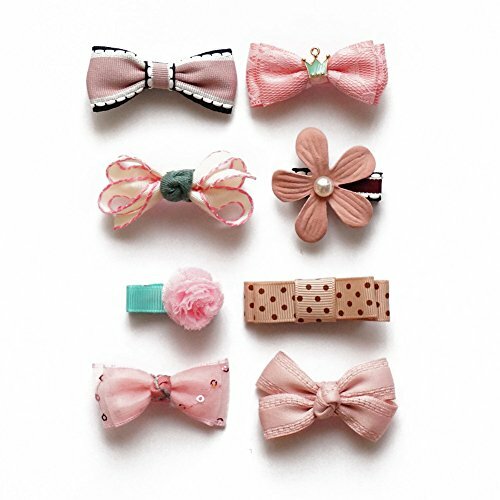 - The hair clips can be used to decorate headbands, hats, bags and shoes, and also be used as a hair clip for girls of all ages! 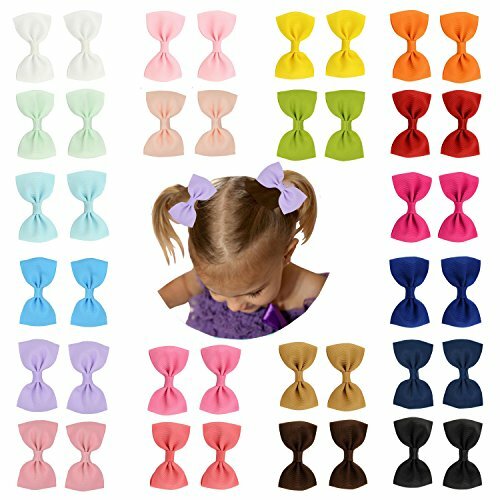 Compare prices on Infant Girls Hair Accessories at ShopPlanetUp.com – use promo codes and coupons for best offers and deals. We work hard to get you amazing deals and collect all available offers online and represent it in one place for the customers. Now our visitors can leverage benefits of big brands and heavy discounts available for that day and for famous brands.